Journeys from Brussels (Brussels-South) to Paris (Gare du Nord) are normally 1 hour, 22 minutes, for a distance of approximately 300 kilometres (190 mi). Peak speed is 300 km/h (186 mph) on a dedicated high-speed railway track, which is electrified at 25 kV AC OHLE. PBA Electric multiple unit 300 186 9 1996 Tri-current; Operates only on the Paris–Brussels–Amsterdam route. PBKA Electric multiple unit 300 186 17 1997 Quadri-current; Operates on Paris–Brussels–Cologne–Amsterdam route. On 11 October 2008, a Thalys PBA set bound for Amsterdam collided with a local ICM train set at Gouda railway station in the Netherlands. The Thalys train set had been diverted via Gouda due to engineering work on its usual route. None of the passengers were seriously injured, but both trains incurred serious damage. An investigation concluded that staff of the local ICM was to blame, as they left the platform whilst still under a red signal. The Amsterdam Metro is a mixed rapid transit and light rail system in Amsterdam, and its surrounding municipalities Amstelveen and Ouder-Amstel in the Netherlands. The network is owned by the city of Amsterdam and operated by public transport company GVB which operates trams, ferries. The metro system consists of four routes, with a length of 42.5 kilometres. Route 50 connects the borough to the western part of the city without crossing the city centre. A fifth route, Route 52, running from the borough to the south. 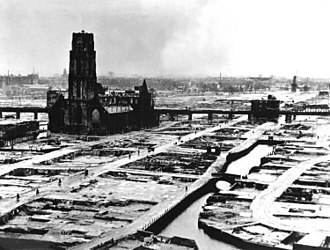 These plans stalled in the phase, and it took until the 1950s for the discussion about underground rail to resurface again in Amsterdam. The aldermen and mayor of Amsterdam agreed with the conclusion of the report of the Clerx commission that a railway network ought to be built in Amsterdam in the near future. 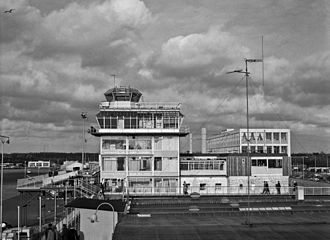 In 1964 and 1965, Bureau Stadsspoorweg presented four reports to the government of Amsterdam. Under the original plan, four lines were to be built, connecting the entire city, the system would be constructed gradually and was expected to be completed by the end of the 1990s. 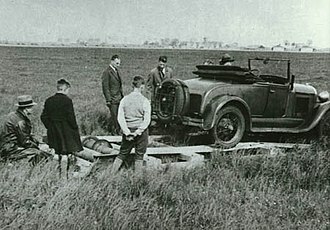 The first part of the plan to be carried out was the construction of the Oostlijn. The East Line links the city centre with the large-scale Bijlmermeer residential developments in the south-east of the city, at Van der Madeweg metro station, the line splits into two branches, the Gein Branch for Route 54 and Gaasperplas Branch for Route 53. Since 1980, the terminus for both routes is Amsterdam Centraal railway station. Wall decorations at the Nieuwmarkt metro station are a reference to the protests, despite the protests, construction of the metro line continued but plans to build a highway through the area were abandoned. In addition, the plans for an east-west metro line were cancelled. One of the sites where this line was to connect with the East Line had already been built underneath Weesperplein station and this lower level of Weesperplein station was never opened to the public, but its existence can still be noticed by the elevator buttons. Since the East Line was planned and built during the Cold War, in 1990 the Amstelveenlijn was opened, which is used for Route 51. Essen Hauptbahnhof is a railway station in the city of Essen in western Germany. It is situated south of the old centre, next to the A40 motorway. It was opened in 1862 by the Bergisch-Märkische Eisenbahn, the station was not the first in Essen, as the station called Essen on the Köln-Mindener Eisenbahn was opened in 1847. The station suffered extensive damage in World War II and was almost completely rebuilt in the 1950s and 1960s, during the following years, the Essen Stadtbahn and the A40 were other construction projects affecting the station. Trains of all call at the station, from long distance to local services. It used to be one of the Metropolitan stops on the Hamburg to Cologne line before the service was discontinued in 2002, there are night services by EuroNight trains to cities such as Moscow and Brussels, and DB NachtZug trains to Zurich and Vienna, among others. Some 400 trains pass through the station each day, making Essen Hauptbahnhof the third busiest railway station in the Ruhr Area after Dortmund Hauptbahnhof, Essen Hauptbahnhof is a separation station, where trains divide to run on several different routes. Its platforms have individual platform canopies, in addition to through platforms, the station has some bay platforms for trains on the line towards Gelsenkirchen and Münster and lines to Hagen and Borken. A centrally located concourse runs across and under the tracks on two levels, and are connected by stairs and escalators. On the lower there are shops and, south of the entrance hall. The lower level allows passage from central Essen to the north of the station to Essen-Südviertel in the south, the upper level serves as the circulation level giving access to the tracks. Direct access to the platforms is possible via lifts from the lower level, a pedestrian tunnel at the eastern end of the platforms allows passage from central Essen to Südviertel. Below the station there is a station on two levels serving the trams and the Essen Stadtbahn, which are operated by Essener Verkehrs-AG. It has an appearance with its pervasive blue light. On 1 March 1862 the Bergisch-Märkische Railway Company opened the section of the Witten/Dortmund–Oberhausen/Duisburg railway between Bochum and Mülheim an der Ruhr, the station that developed into Essen Hauptbahnhof, but was known until 1897 as Essen BME station, was opened on this line. The Rotterdam Metro is a rapid transit system operated in Rotterdam and surrounding municipalities by RET. The first line, called Noord – Zuidlijn opened in 1968 and ran from Centraal Station to Zuidplein and it was the first metro system to open in the Netherlands. At the time it was one of the shortest metro lines in the world with a length of only 5.9 km. In 1982 a second line was opened, the Oost – Westlijn, in the late 1990s, the lines were named after two historic Rotterdam citizens, the Erasmus Line after Desiderius Erasmus and the Caland Line after Pieter Caland. In the northeast of Rotterdam, Lines A and B branch to Binnenhof, the latter has been extended since September 2005, before that date, this line terminated at De Tochten. North of Capelsebrug station, with the exception of the De Tochten-Nesselande section, Lines A and B have some level crossings and these sections have overhead wires, while most of the system has a third rail. However, the light rail is not used in Rotterdam. As of 2017, lines A and B will be connected to the Schiedam–Hoek van Holland railway line, at Capelsebrug, line C branches off the main East-West section to De Terp in Capelle aan den IJssel. Until November 2002, the Calandlijn terminated in the west of Rotterdam, on 4 November 2002 an extension through the city of Schiedam towards Spijkenisse was opened. The extension included four new stations in Schiedam and one in Pernis, Line C joins Line D at the new Tussenwater station in Hoogvliet. Line A and B trains still terminate at Schiedam Centrum, while Line C trains continue and, like those on the Line D, Line D runs from Rotterdam Centraal via Beurs, Rhoon and Spijkenisse Centrum towards De Akkers. Line D intersects with Lines A-B-C at Beurs station, the only interchange between metrolines in the Netherlands. Before the connection with Line E at Rotterdam Centraal was realized in December 2011, when the Hofplein Line was converted from a railway line to a rapid transit line in 2006, the old Hofplein station was temporarily kept as the lines southern terminus. Antwerpen-Centraal is the name of the main railway station in the Belgian city of Antwerp. The station is operated by the railway company NMBS. The original station building was constructed between 1895 and 1905 as a replacement for the terminus of the Brussels-Mechelen-Antwerp Railway. The stone clad terminus buildings, with a vast dome above the waiting room hall were designed by Louis Delacenserie, the viaduct into the station is a notable structure designed by local architect Jan Van Asperen. A plaque on the wall bears the name Middenstatie. In 2009 the American magazine Newsweek judged Antwerpen-Centraal the worlds fourth greatest train station, in 2014 the British-American magazine Mashable awarded Antwerpen-Centraal the first place for the most beautiful railway station in the world. The originally iron and glass train hall was designed by Clément Van Bogaert, an engineer, the height of the station was once necessary for the steam of locomotives. The roof of the hall was originally made of steel. Nevertheless, it has claimed that the warping of the substructure due to a V-2 bomb had caused constructional stresses. The impact of the bombs are still visible due to a lasting wave-distortion in the roofing of the hall, in the mid-twentieth century, the buildings condition had deteriorated so far that its demolition was being considered. After replacing or repairing steel elements, they were painted in a burgundy colour, copper was used during the renovation process of the roof. 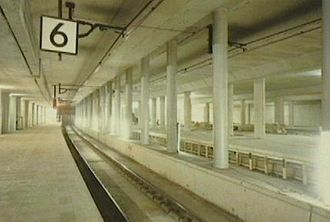 In 1998 large-scale reconstruction work began to convert the station from a terminus to a through station, a new tunnel has been excavated between Berchem station in the south of the city and Antwerpen-Dam station in the north, passing under Central station, with platforms on two underground levels. This allows Thalys, HSL4 and HSL-Zuid high-speed trains to travel through Antwerp Central without the need to turn around, the major elements of the construction project were completed in 2007, and the first through trains ran on 25 March 2007. SNCF is Frances national state-owned railway company and manages the rail traffic in France and the Principality of Monaco. SNCF operates the national rail services, including the TGV. Its functions include operation of services for passengers and freight. SNCF employs more than 180,000 people in 120 countries around the globe, the railway network consists of about 32,000 km of route, of which 1,800 km are high-speed lines and 14,500 km electrified. About 14,000 trains are operated daily, since July 2013, SNCF headquarters are located in a Parisian suburb at 2, place aux Étoiles,93200 Saint Denis. In 2010 SNCF was ranked 22nd in France and 214th globally on the Fortune Global 500 list and it is the main business of the SNCF group, which in 2014 employed 245,763 people and had €27.2 billion of sales in 120 countries. The chairman of the SNCF group is Guillaume Pépy, SNCF operates almost all of Frances railway system, including the TGV, In the 1970s, SNCF began the TGV high-speed train programme with the intention of creating the worlds fastest railway network. It came to fruition in 1981, when the first TGV service, today, SNCF operates 1,850 km of designated high-speed track that accommodate more than 800 high-speed services per day. SNCF’s TGV trains carry more than 100 million passengers a year, TGV lines and TGV technology are now spread across several European countries in addition to South Korea.8 km/h. SNCF has a safety record. After nearly 30 years in operation, SNCF’s TGV system has experienced one fatal accident. SNCF owns the tracks and the stations, since the 1990s, SNCF has been selling railway carriages to regional governments, with the creation of the Train Express Régional brand. SNCF maintains a broad scope of business that includes work on freight lines, inter-city lines. SNCF experts provide logistics, construction and maintenance services, SNCF operates the international ticketing agency, Voyages SNCF. SNCF has employees in 120 countries offering extensive overseas and cross border consulting and those projects include, Israel and Training. Amsterdam Centraal is the largest railway station of Amsterdam, and a major national railway hub. 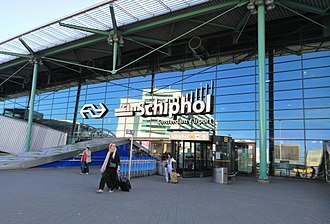 Used by 162,000 passengers a day, it is the second-busiest railway station in the country after Utrecht Centraal and international railway services at Amsterdam Centraal are provided by NS, the principal rail operator in the Netherlands. Amsterdam Centraal is the terminus of Amsterdam Metro Routes 51,53. It is served by a number of GVB tram and ferry routes as well as local and regional bus routes operated by GVB, Amsterdam Centraal was designed by Dutch architect Pierre Cuypers and first opened in 1889. It features a Gothic/Renaissance Revival station building and a cast iron platform roof spanning approximately 40 metres, Amsterdam Centraal was designed by Pierre Cuypers, who is known for his design of the Rijksmuseum in Amsterdam. While Cuypers was the architect, it is believed that he focused mostly on the decoration of the station building. The station was built by contractor Philipp Holzmann, the new central station replaced Amsterdam Willemspoort Station, which had closed in 1878, as well as the temporary Westerdok Station used from 1878 to 1889. In the first proposal, the station would be situated between the Leidseplein and the Amstel river, Cuypers design of the station building in many ways strongly resembled his other architectural masterpiece, the Rijksmuseum, of which the construction had begun in 1876. 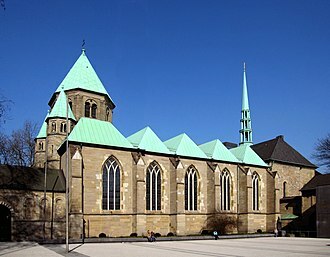 It features a palace-like, Gothic/Renaissance Revival facade, with two turrets and many details and stone reliefs referring to the capital citys industrial and commercial importance. Cuypers station reflects the nationalistic mood in the late nineteenth-century Netherlands, with its many decorative elements glorifying the nations economic. 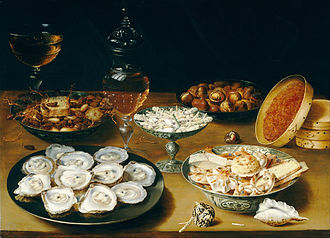 As with the Rijksmuseum, the overall architecture reminded many contemporaries of medieval cathedrals. Finally, the plan made its way through the Amsterdam municipal council by a narrow majority, the station is built on three interconnected artificial islands in the IJ lake. These islands were created with sand taken from the dunes near Velsen, the islands together are known as Stationseiland. Deutsche Bahn AG is a German railway company. Headquartered in Berlin, it is a private company, with the Federal Republic of Germany being its single shareholder. It carries about two billion passengers each year, Deutsche Bahn came into existence in 1994 as the successor to the former state railways of Germany, the Deutsche Bundesbahn of West Germany and the Deutsche Reichsbahn of East Germany. It gained ownership of railway assets in West Berlin held by the Verwaltung des ehemaligen Reichsbahnvermögens. There are three periods of development in this unified German railway, its formation, its early years. At its creation, Deutsche Bahn took over the abbreviation and logo DB from the West German state railway Deutsche Bundesbahn, erik Spiekermann designed the new corporate font DB Type. However, these plans have been put on hold, and the Bahntower leased for at least three more years, the second step of the Bahnreform was carried out in 1999. This new organisational scheme was introduced not least to implement European Community directive 91/440/EEC that demands access to railway systems free of discrimination. In December 2007, DB reorganised again, bringing all passenger services into its DB Bahn arm, logistics under DB Schenker and infrastructure, the DB is owned by the Federal Republic. By the Constitution, the Federal Republic is required to retain a majority of the infrastructure stocks, in 2008, it was agreed to partially private DB, with 25% of the business to be sold to the private sector. However the onset of the Financial crisis of 2007–08 saw this cancelled, in World war II the Deutsche Reichsbahn helped the Nazis to deport the Jews from Greece. As of 2016, the company currently lacks a management director, other members of the board include, Dr. The DB group is divided into five main groups, Arriva, DB Bahn, DB Dienstleistungen, DB Netze. These subsidiaries are companies in their own right, although most of them are 100% owned by DBAG, Deutsche Bahn placed a bid in May 2010 for the UK-based transport company Arriva. Arriva runs bus and rail companies in 12 European countries, the merger was approved by the European Commission in August 2010, subject to DB divesting Arriva services in Germany. The Rhine-Ruhr S-Bahn is a polycentric S-Bahn network covering the Rhine-Ruhr Metropolitan Region in the German federal state of North Rhine-Westphalia. This includes most of the Ruhr, the Berg cities of Wuppertal and Solingen, the easternmost city within the S-Bahn Rhine-Ruhr network is Unna, the westernmost city served is Mönchengladbach. The network was established in 1967 with a line connecting Ratingen Ost to Düsseldorf-Garath, the system consists of 13 lines. In late 1978, the first prototypes were handed over to the DB, on much of the network, Class 143 locomotives are used along with the specially developed Bx and ABx cars and cab cars. The S28 is not operated by DB Regio NRW, but by the Regiobahn GmbH, the S7 uses Alstom Coradia LINT DMUs while operated by Abellio Rail NRW. New rolling stock for the S5 and S8 lines was introduced in December 2014 after being tested on the S68 since October 2014 and these Alstom Coradia trains are operated by DB Regio NRW, a special feature of these trainsets are on-board toilets. Visible wave-distortion in the roof of the train hall of the Antwerp Central Station (Antwerpen-Centraal), as seen from the roof of an adjacent building in the Pelikaanstraat (near the corner with De Keyserlei) on 13 September 2016. The warping of the structure can be seen at the far top-right end of the roof here. Route 51 lightrail vehicle at Zuid Station, where it changed from third rail to overhead wire power supply. ICE 3M train en route from Brussels to Frankfurt in Aachen Hauptbahnhof. Regional-Express trains in Aachen Hauptbahnhof. Muehlenkamp Stadtbahn station at night. A Thalys PBKA at Eilendorf.